You can find videos of the lecture and demonstrations here. Supernovae and gamma-ray bursts are the biggest explosions that we know about in the Universe. Gamma-ray bursts can release as much energy in a few seconds as the Sun will release in its entire 9 billion year life. In fact, when a gamma-ray burst goes off it is briefly outshines the rest of the Universe put together. How common are supernovae and gamma-ray bursts? Gamma-ray bursts and supernovae happen when very massive stars explode at the end of their lives. The stars that make supernovae are probably at least 8 times the mass of the sun, the stars that make gamma-ray bursts are probably even more massive. Probably 20-40 times as massive as the sun. It turns out that most stars in the Universe are much smaller than this. Indeed, most are probably less massive than the sun, so very few explode as supernova. However, within the visible Universe there are perhaps 100 billion galaxies, and each of these might contain 100 billion stars (these are crude numbers, all galaxies are different in terms of the number of stars they contain). Given this supernovae in the Universe happen at a rate of several every second. We think that gamma-ray bursts, or at least those that we can detect, probably happen at a rate of a few per day. Figure 1: An image of the sky taken on Cerro Paranal, the home of the European Southern Observatories Very Large Telescope (4 telescopes, seen in the bottom left). The image also shows supernovae exploding at a rate of several every second, as we would see if our eyes could see every supernova in the Universe. (Background image credit: European Southern Observatory, annimation: Andrew Levan). Figure 2: A real time sky-map of a gamma-ray burst. 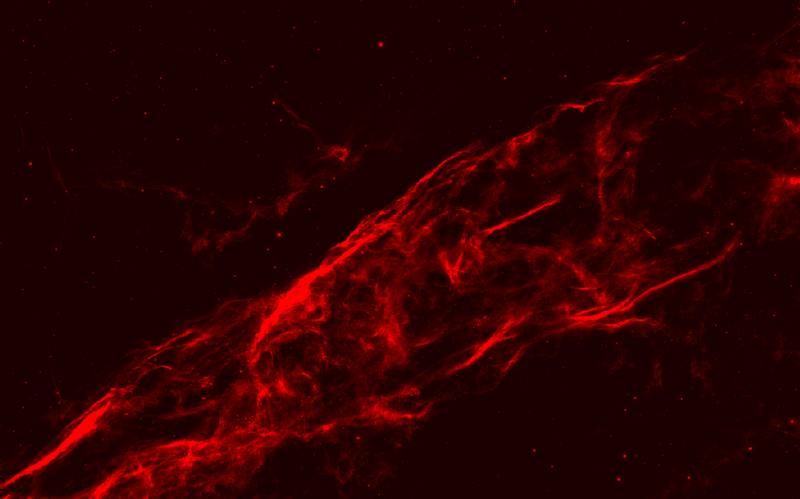 The bright line through the centre of the image is gamma-ray emission from the galactic plane (image from the NASA Fermi mission), while the variable source is the gamma-ray burst. Note the GRB is changing in real time. This particular gamma-ray burst lasts for only 5 seconds (annimation: Andrew Levan). Why do some stars blow-up as supernovae? Most stars don't explode as supernovae, but a few do. These stars have masses more than about 8 times the mass of the sun. As with all stars they create energy by nuclear fusion, where protons in the core of the star are fused together to make heavier and heavier elements. In very massive stars, when this process stops the star has an iron core, surrounded by an onion-like structure of lighter elements. Iron is the most stable element we know of, and so stars cannot make heavier elements in their cores without putting in extra energy. This means that the star stops creating energy and the core cools down. As the core cools, particles in the star move more slowly, and exert less pressure, this causes the star to contract. In fact, as the star rapidly stops making energy the star doesn't just contract, it collapses. The collapse is halted at the iron core, where the atmosphere of the star (sometimes called its envelope) bounces back into space -- this is the supernova. How do massive stars make their heavy elements? Stars like the sun make energy by hydrogen fusion, that is where protons are collided. However, it isn't as simple as you might think, because the next simplest element, Helium, has two protons and two neutrons. The chances of building a Helium atom by having all four particles come together at just the right moment are very small indeed. Because of this, stars build up heavy elements by reaction chains. The sun uses something called the proton-proton chain to make Helium, but in stars much heavier than the Sun there are other chains called the Carbon-Nitrogen-Oxygen (CNO) chain, and the triple-alpha chain. These other chains require temperatures much higher than those seen in the sun, and can only happen in very massive stars. Through these different chains, all the elements up to iron are made. How do we know that these elements are made in stars? We can see evidence for these elements in stars when the star explodes as a supernova remant. When this happens, the elements from inside the star are thrown out into space and form a supernova remnant, which grows gradually and is visible for thousands to hundreds or thousands of years after the supernova itself. When we look at these supernovae remnants we can see fingerprints of the elements that are in them. This can be done in lots of different types of light, and shows us the presence of many different elements. 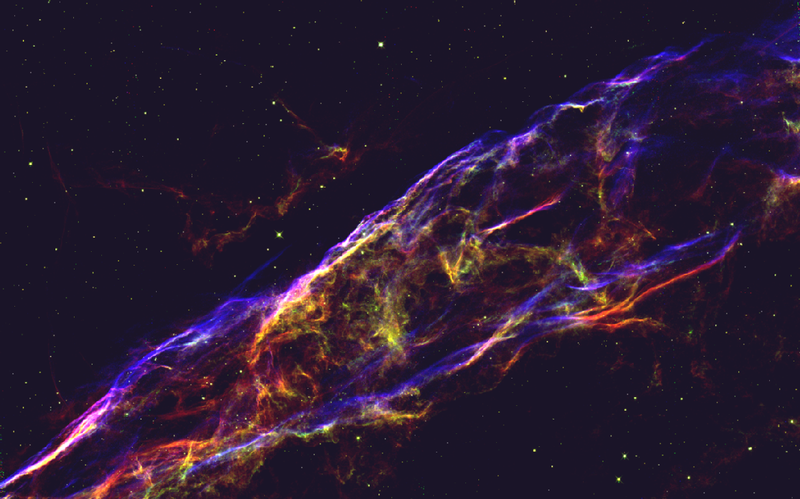 Figure 3: Images of the Veil nebula (a supernova remnant, 1450 light years away), taken with the Hubble Space Telescope. The top image is taken at a wavelength where oxygen emits light, the middle green image is taken at a wavelength where sulphur emits light, while the third image is taken in hydrogen light. 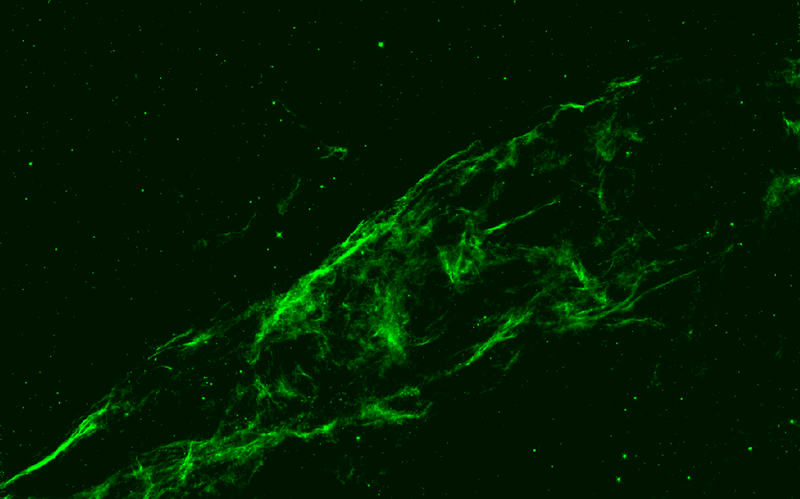 The final, lowest image shows the composite of the three previous image, and highlights where different elements can be found in the supernova explosion (Andrew Levan). Figure 4: The periodic table of the elements. This is a simplified view of all the elements that we know exist in the Universe today, along with where they come from. The lightest elements (Hydrogen and Helium) are formed from the big bang, while everything up to Iron is synthesised in the cores of stars and then ejected when they explode. Heavier elements are created in the remnants of supernovae, and in the merger of two neutron stars. In practice for the very heavy elements, many of them are produced in more than one way. How do supernovae make elements heavier than iron? The explosion of a supernova provides some additional energy that is not present in the core of the star, in particular the supernova kinetic energy. It also provides the opportunity for certain sites to become extremely hot. Finally, as the star collapses to form a neutron star there are lots of neutrons created, and these start to be captured by some of the other elements, building up heavier ones. This is something called the r-process. Why can't supernovae make all the elements? Supernovae can build a lot of heavy elements, and it is likely that they make small ammounts of almost all the elements heavier than iron. However, when we look at the elements that are created by supernovae there are some things that supernovae struggle to create. Firstly, there are some missing things at relatively low mass (or atomic number). 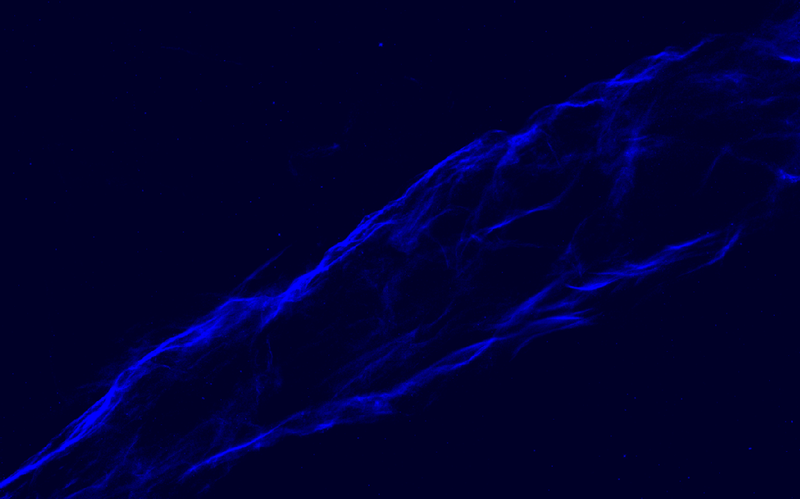 These are probably created in the atmospheres of certain types of stars via an alternative process called the s-process. 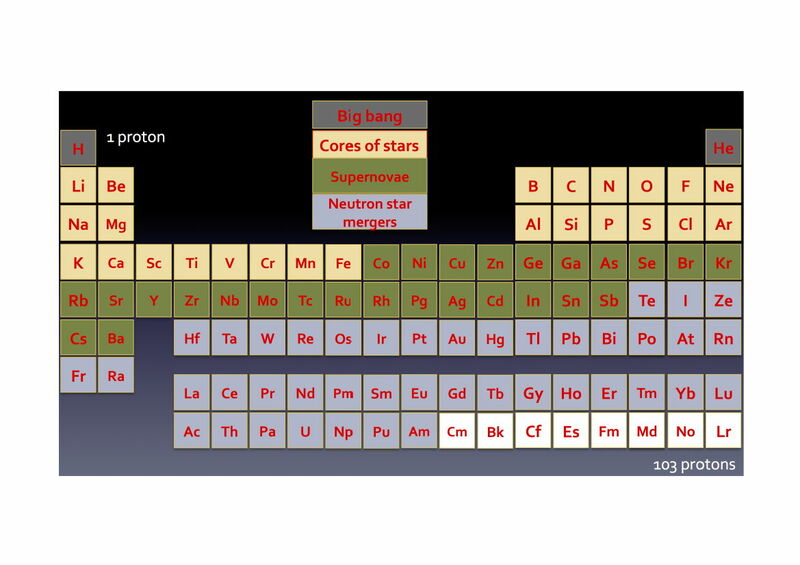 However, for extremely heavy elements, such as gold, it is very difficult for supernovae to make them, and observations combined with complex computer models don't explain the relative ammount of gold that we see compared to other elements. So where do neutron star mergers come in? Neutron star mergers offer us an alternative way to build very heavy elements. When they merge there is an explosive release of neutrons and heavy elements can be built in the disc around the merging neturon stars, or in tails of material that spread away from the merger. Importantly these tails are very neutron rich, therefore there are lots of neutrons to collide with other elements. When they collide they build heavier versions of the same element (called isotopes), but as isotopes become heavier they are more likely to become unstable. When an element becomes unstable it becomes radioactive and it decays. One route through which it can decay is called beta-radiation, in which the atom decays by emitting a electron. A neutron is the sum of an electron and a proton, and so when an electron is emitted, a proton is left over. This increases the atomic number of atom and builds very heavy elements. The important part of the r-process that operates in neutron star mergers and in supernovae, is that the neutrons are added to the atom quickly, so that it doesn't have time to decay between individual neutrons being added. This means that it is possible to build very heavy elements indeed. Are neutron star mergers the only type of gamma-ray burst? No, actually most gamma-ray bursts (about 75%) are created from massive stars collapsing, in explosions that are like supernovae, but even more energetic. These gamma-ray bursts produced different heavy elements much like the supernovae do. It is the 25% of gamma-ray bursts, those that also happen to be very short, typically over in less than 2 seconds, that we think come from neutron star mergers. Are supernovae and gamma-ray bursts the only way that stars end their lives? Supernovae and gamma-ray bursts are the end points for only a small proportion of stars. Most stars, those less massive than about 8 times the mass of the sun will not explode at all, but will end their lives as white dwarf stars. which are about the mass of the sun (or perhaps more often about half the mass of the sun), but the size of the Earth. There are other ways that stars can end their lives, for example, some stars might merge together and then explode. Others might get torn apart by the extreme gravity of a black hole. However most will either explode as a supernova, or form a white dwarf.